Wearing lipstick can add sophistication to whatever outfit you have on. 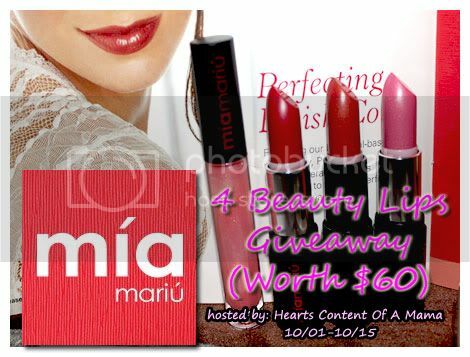 If you love to collect variety of lip color, then this is your chance to win and try 4 Mia Mariu lipsticks. About the prize: One very lucky winner will get these 4 beauty lips items: Hydrating Stick Gloss - Beso, Hydrating Stick Gloss - Encanto, Hydrating Stick Gloss - Caricia, Luminous Lip Gloss - Dulzura (Worth $60 all). Giveaway will run until October 15th at 12:01 am EST, must be 18 years or older to enter. a Rafflecopter giveaway Disclosure: I received no compensation for this promotion. My opinions are my own and may differ from those of other consumers. Happy Life is not responsible for sponsor prize shipping. Thank you for participating everyone and Good Luck! Many "Thanks" to the lovely bloggers who are helping me to promote this giveaway! 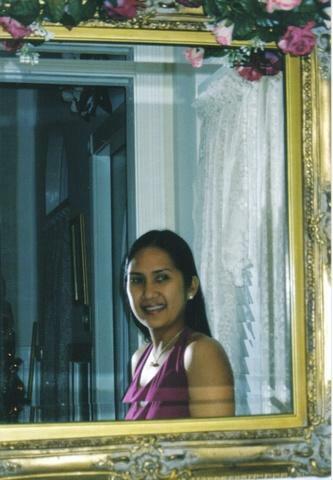 Lipstick is one thing that I cannot live without, lol...I just like wearing lipstick. I joined and wish to win these prizes! Girls should joined this giveaway! Free cosmetics... nice!